The People’s Daily and Xinhua publish harsh commentaries about US politicians, their useless democracy, and US military adventurism. They are also a sign of fear that, as the US dollar goes, so will China with its US$ 1.16 trillion in US treasury bills. Beijing pleads for action. Charges include attacks against American political leaders for showing “irresponsibility” and doubts about US democracy as well as insults over US “addiction to debt” and US militarism and adventurism in Iraq and Afghanistan. Yet, all the commentaries end pleading with the United States to honour its debt to “maintain the stable value of the dollar” and boost hope for growth in the world’s economy. 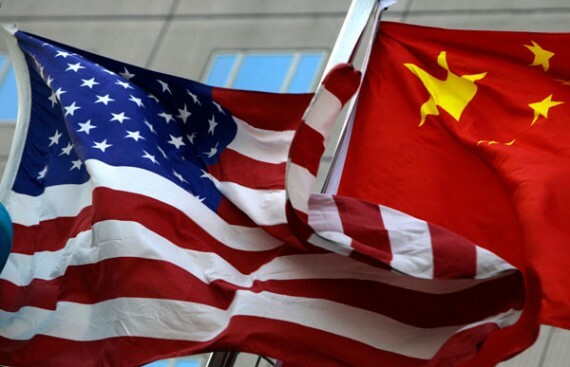 A commentary published today in the People’s Daily by Zhong Sheng (a pen name that means ‘Voice of China’) said that difficulties faced by the US and (EU) were due to multiparty democracy, which favours partisan interests over those of the nation. “It must be understood that if the US, Europe and other advanced economies fail to shoulder their responsibility and continue their incessant messing around over selfish interests, this will seriously impede stable development of the global economy,” the paper said. “People have deepening misgivings about the political decisiveness of the Western nations, and this has also seriously hurt global investors' confidence in world economic recovery, exacerbating market turmoil,” it added. Speaking about the United States, “What has been pushed to the edge of the precipice is not the global economy, but Washington politics,” it lamented. Two days ago, when Standard & Poor’s lowered US credit rating to Aa+, Xinhua published a commentary full of scorn for the “US ‘addiction’ for debt”, saying that it was high “time for the US to tighten [its] belts” and increase savings. Yet, many comments end the same way, pleading with the US to remember that they have a “responsibility as the issuer of reserve currency to maintain the stable value of the dollar”, i.e. what China wants. As the world's biggest stockpile of foreign exchange reserves as well as the largest holder of US Treasuries, China has a lot to lose. An estimated 70 per cent of its reserves are in dollar assets, including US$ 1.16 trillion in US Treasuries. For Beijing, a weaker dollar means a diminishing nest egg. What is more, the United States is the largest importer of Chinese-made goods worth US$ 364.9 billion. If exports decline, China’s already problem of overproduction will get worse with negative consequences for employment and social stability. For this reason, an opinion piece signed by Li Xiangyang said, “the American people do not need to tighten their belts”. If they did, Chinese exports would suffer. For analysts, such commentaries appear to be designed to calm Chinese public opinion, already rattled by fears of impoverishment (because of American policies) and praise China’s own decision-making system, belittle democracy and play on mainlanders’ anti-Taiwan sentiments. However, many of the statements sound more like a plea. As one put it, before making “any move, please [. . .] don't forget” that “as the issuer of reserve currency” you must safeguard “the stable value of the dollar”.